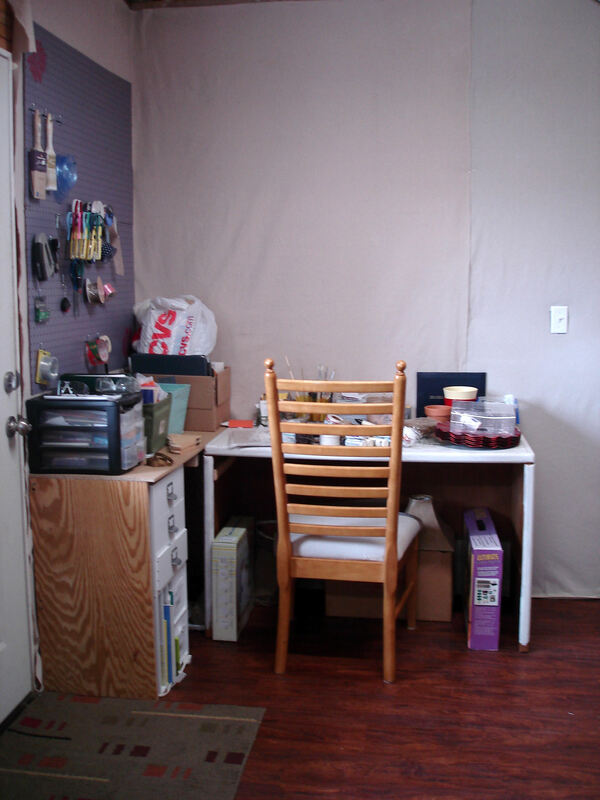 » Basement Progress- A Craft Corner For Me! Remember awhile back when I posted about the flooring we chose for the basement? 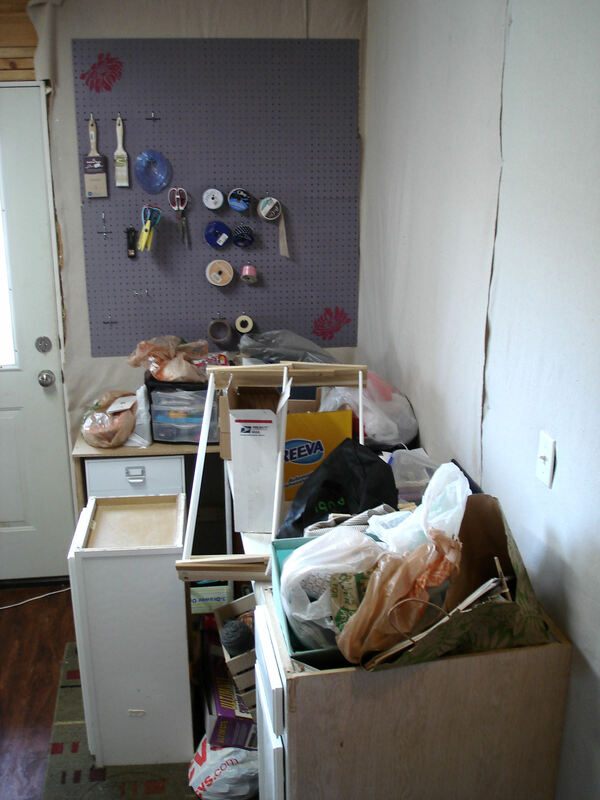 Well we ended up installing it a few months ago, but I’ve been so embarrassed by the state of the rest of the organization projects that I just couldn’t share. Despite having been burned before for keeping it real with my before photos (those Apartment Therapy readers can be brutal! ), I decided that there’s no use sugar coating the real deal. I mean I know you all think my house is perfect all the time, right? After months of trying to get down the stairs with my eyes closed to avoid seeing my mess, I finally broke down and started cleaning. Don’t get your hopes up, it’s just a modest improvement. You can at least see our new vinyl tile floors (in Cherry). I still have to paint my desk, Mike built me an “L” shaped add-on and the original desk is just partly primed. I’ve still got a lot to work over here, including putting together a 3rd storage cube (you can see the other two on the left). 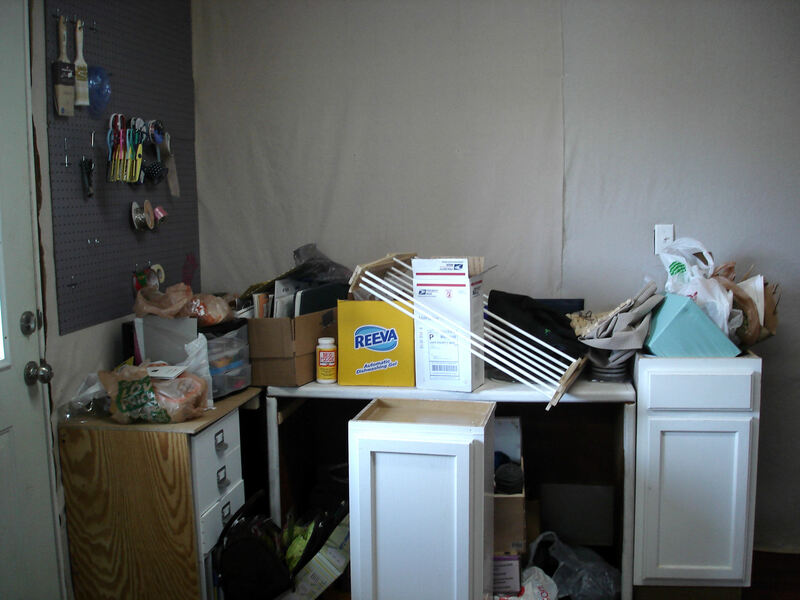 But I did find a neat way to store all my fabric and knitting supplies. 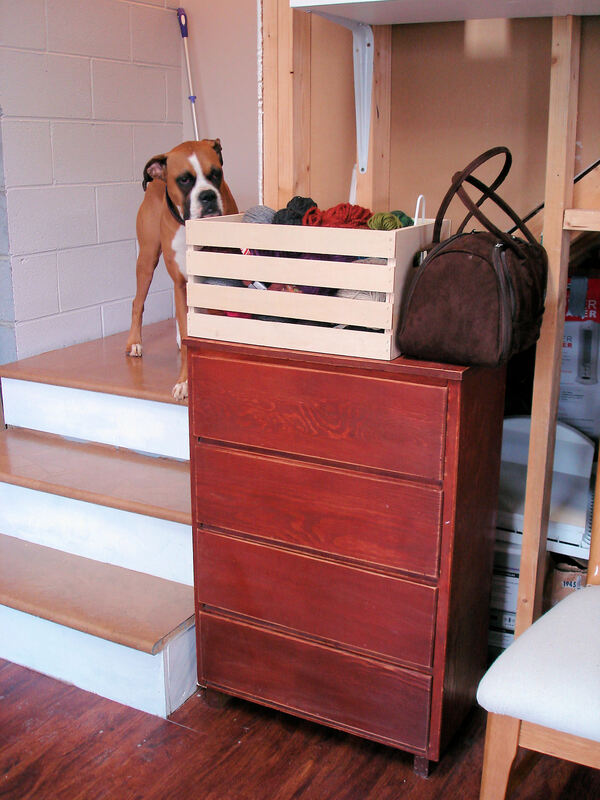 That dresser used to be in my brother’s room, but he got a new one so this one is now holding my fabric stash. It’s a good thing Millie is there to guard everything.